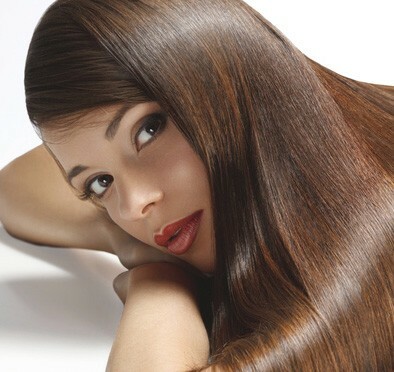 We’re obvious advocates of hair extensions and are willing to promote their benefits at any given chance. However, under no circumstances does that mean that we’re going lay down and let our natural hair take a hit. Fact, the healthier your natural hair, the more natural the look of your extensions. Healthy natural hair can handle longer, thicker extensions making the over all result that much more believable and dramatic. Next time you’re wandering the aisles of the super-market, give your locks some love and take some tips form our ultimate shopping list. The vitamin C helps to boost the production of collagen that surrounds hair, keeping it strong. They’re one of the best sources of biotin, a form of vitamin B, which works to increase hair growth. They’re an excellent source of protein and are also full of iron and zinc. Zinc works to regulates hormones that affect hair growth. It’s packed full or iron and folate, a winning combination for your hair. Greek Yoghurt. High in protein, vitamin B5 and vitamin D all essential for promoting increase healthy hair growth.